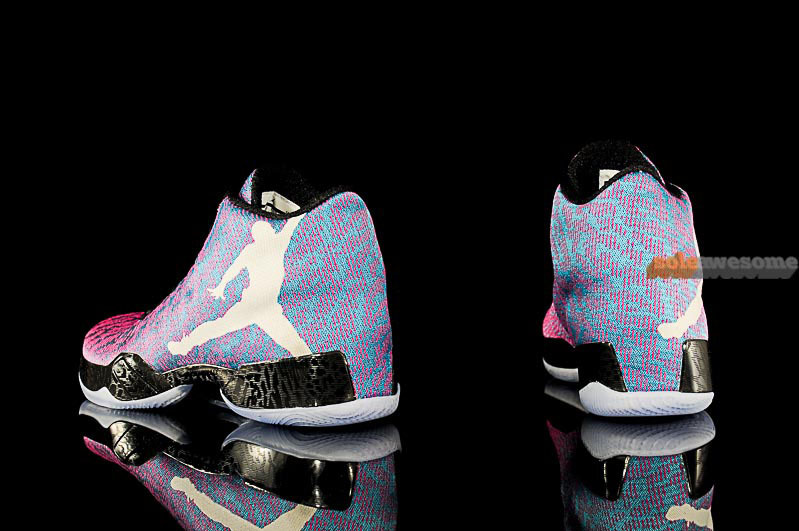 The colorway draws its inspiration from the San Antonio tourist attraction and motif of the '96 All-Star Game. 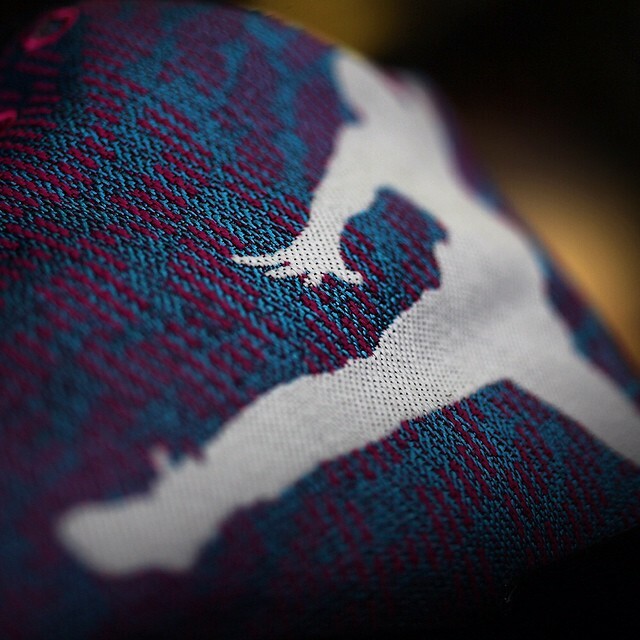 After taking an unexpected hiatus from hoops in 1993, Michael Jordan was absent from the '94 and '95 NBA All-Star Games. 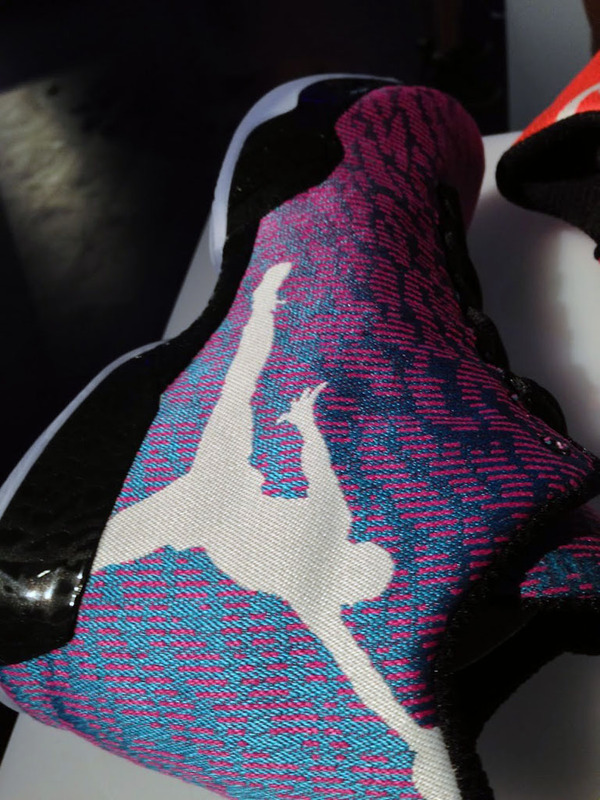 However, during his first full season back with the Chicago Bulls, he was a no-brainer for '96, arguably the most memorable All-Star Game of all-time. 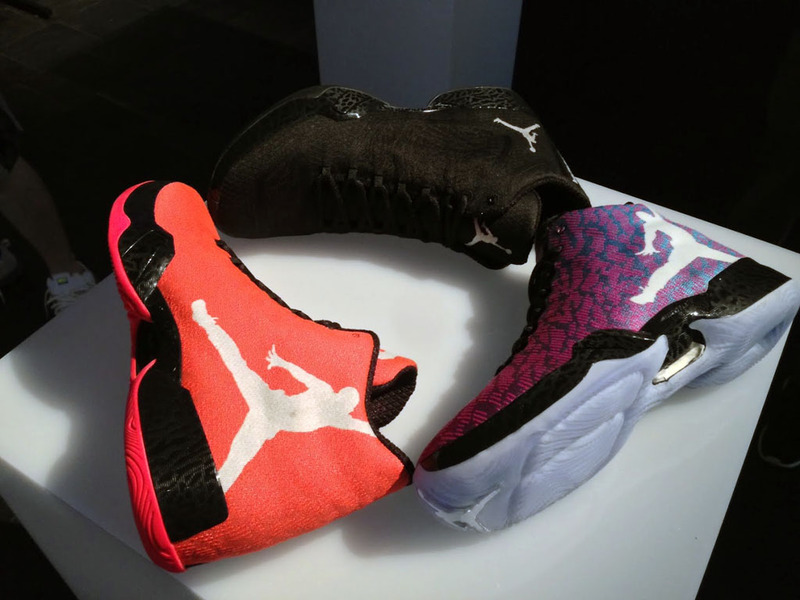 Played at San Antonio's Alamodome, the '96 All-Star Game featured some of the greatest talent of the 90s and a uniform palette for the ages. 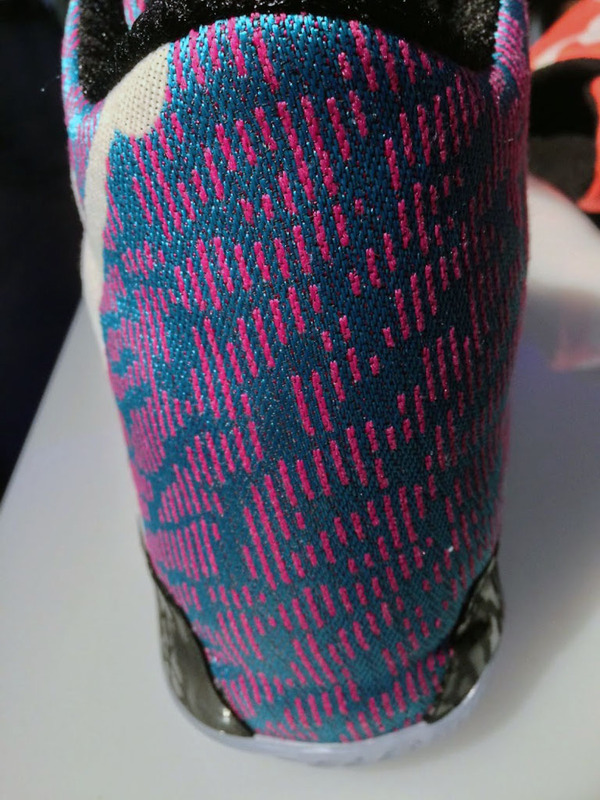 Before 'South Beach,' teal and pink were the colors of ASG '96, along with orange and a font style that perfectly represented the game's location. 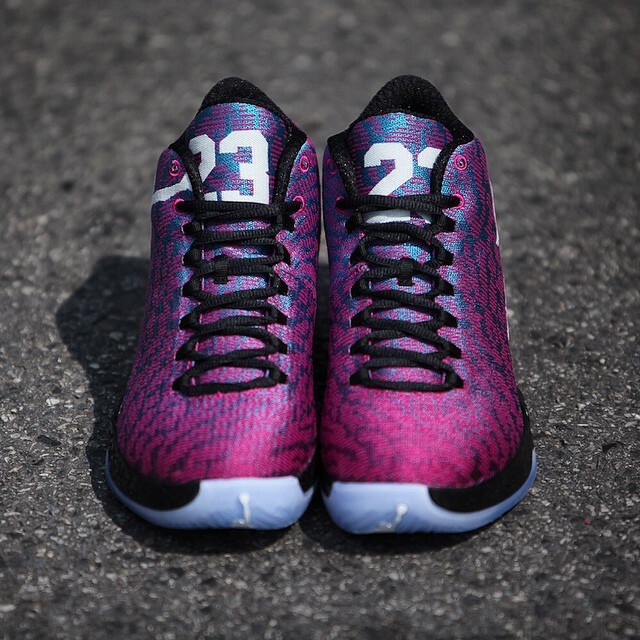 The MVP? 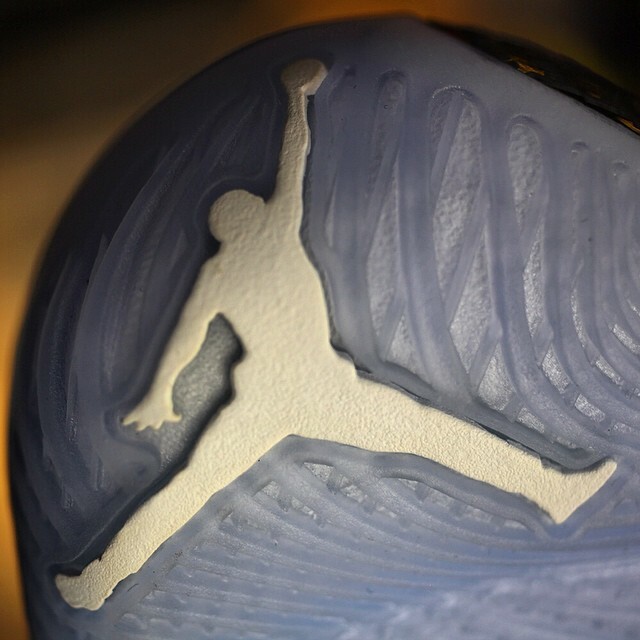 None other than Michael Jordan, who famously took the court in the 'Columbia' Air Jordan 11. 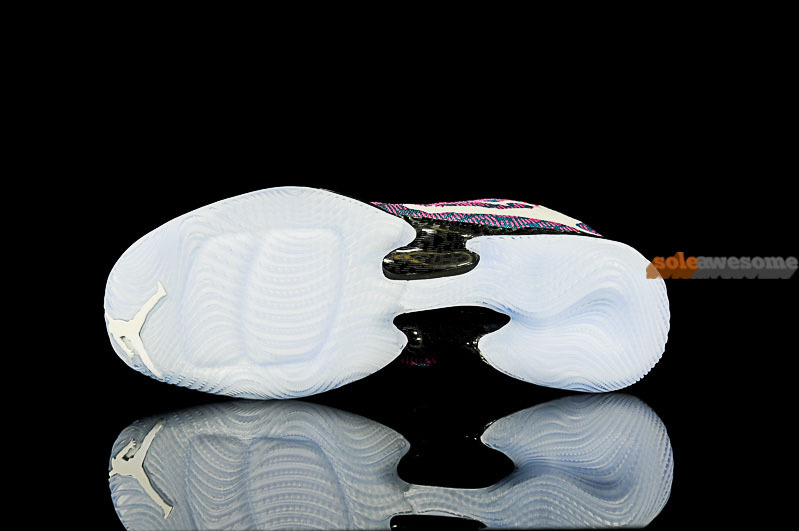 In fact, that shoe will make its long awaited return to retail this holiday season — but it won't be the only '96 throwback. 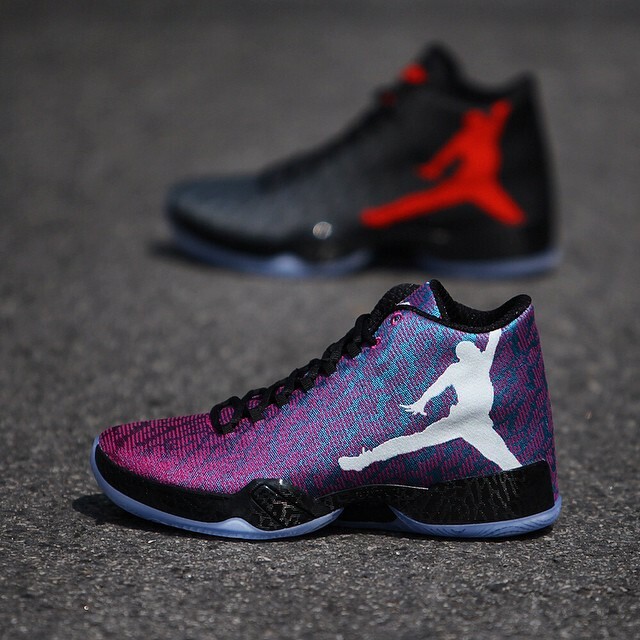 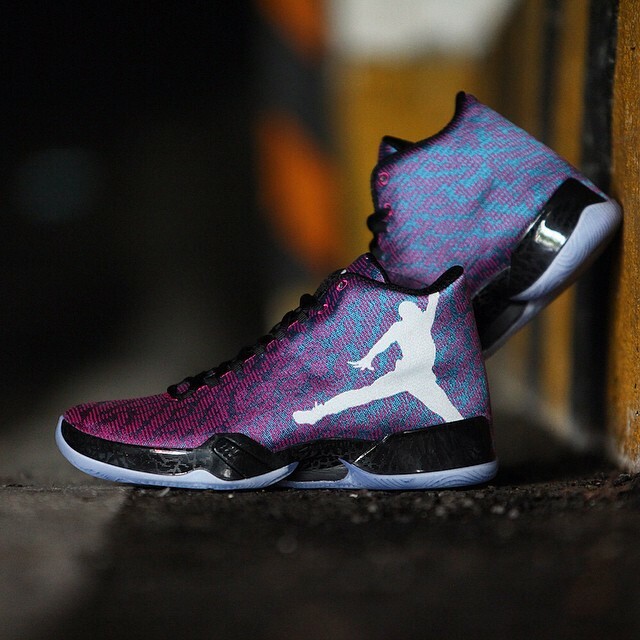 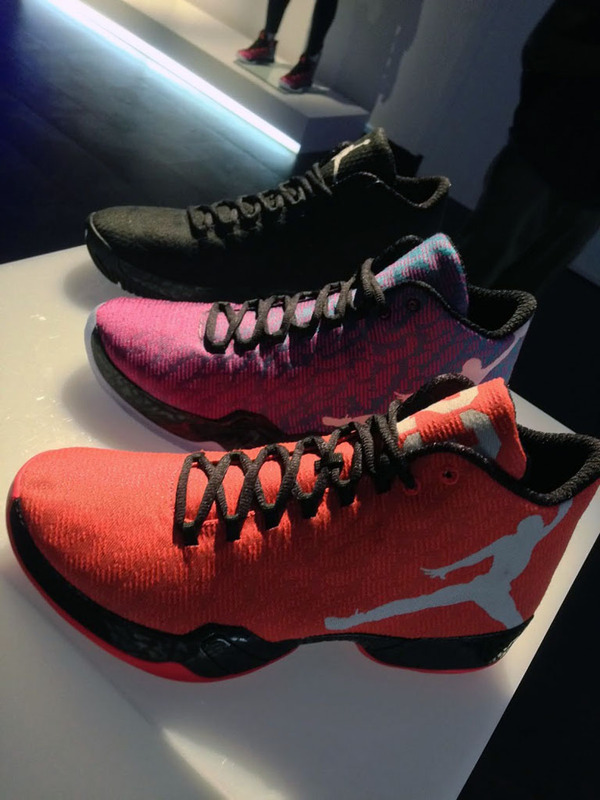 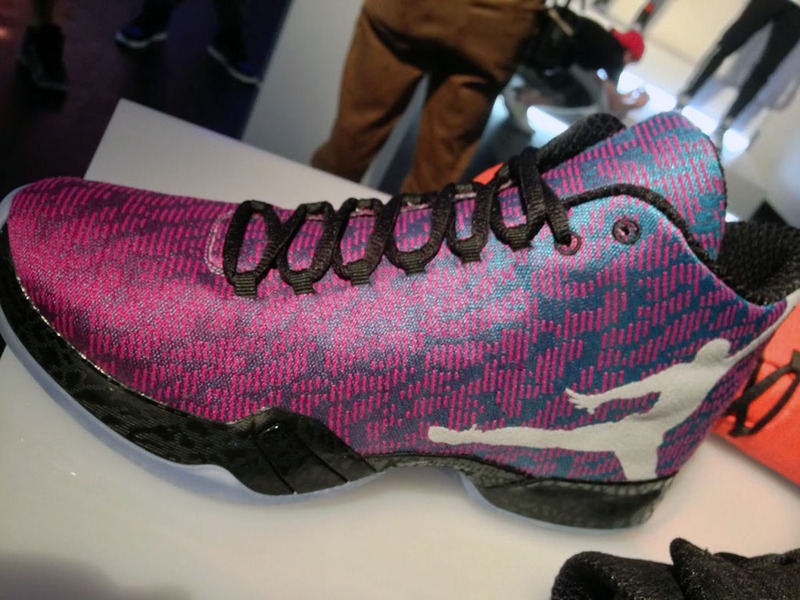 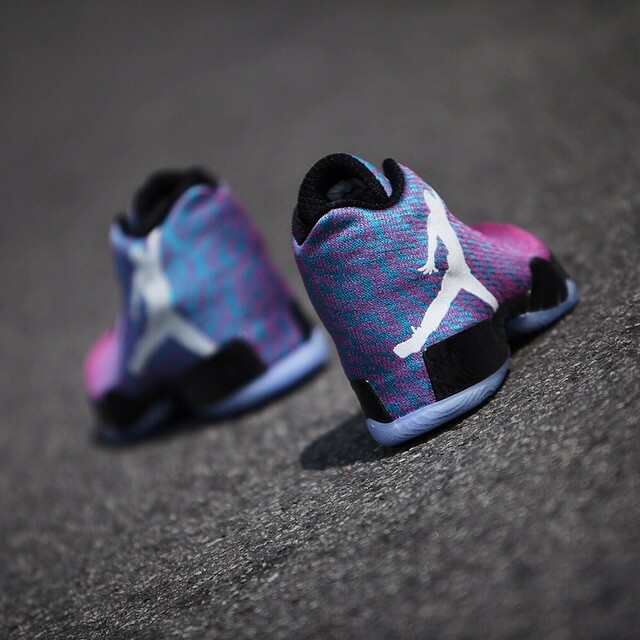 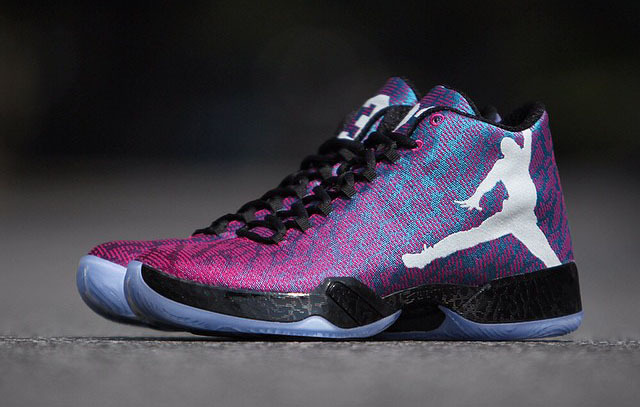 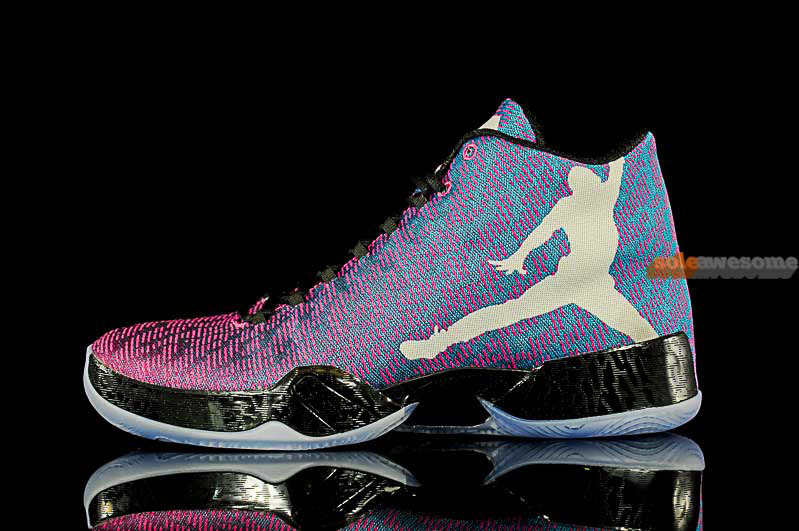 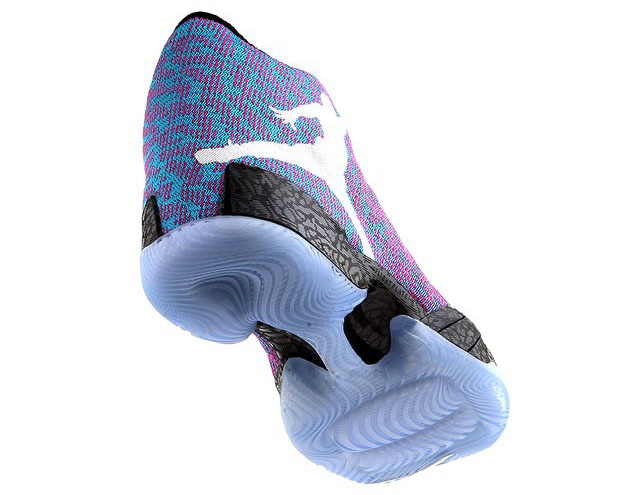 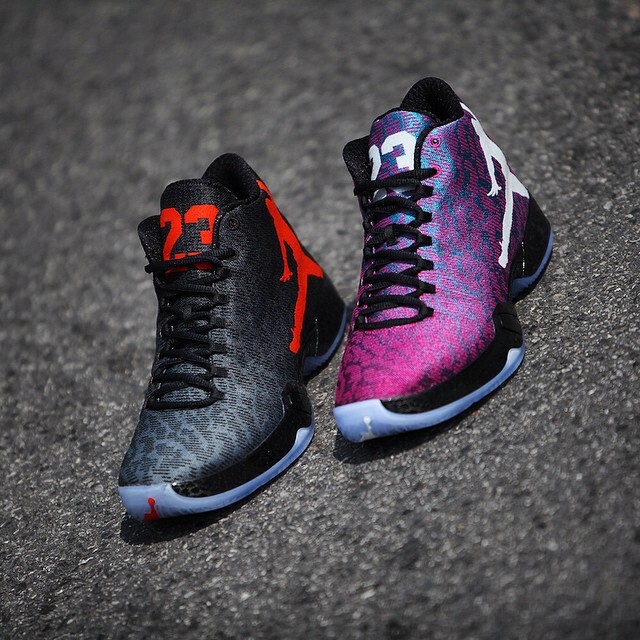 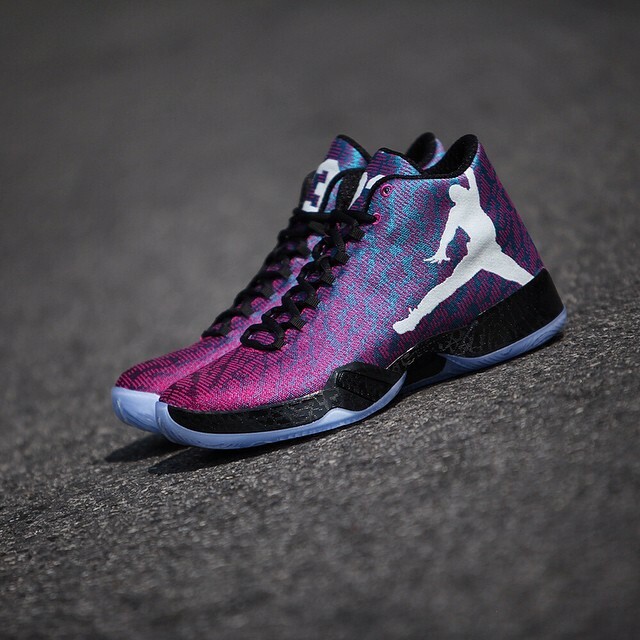 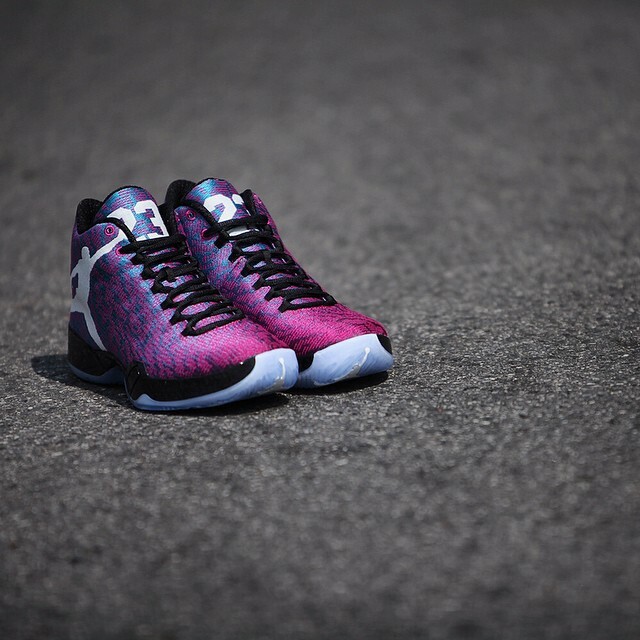 Previewed at the Holiday 2014 Jordan Brand walkthrough, the Air Jordan XX9 will be releasing in a 'River Walk' colorway. 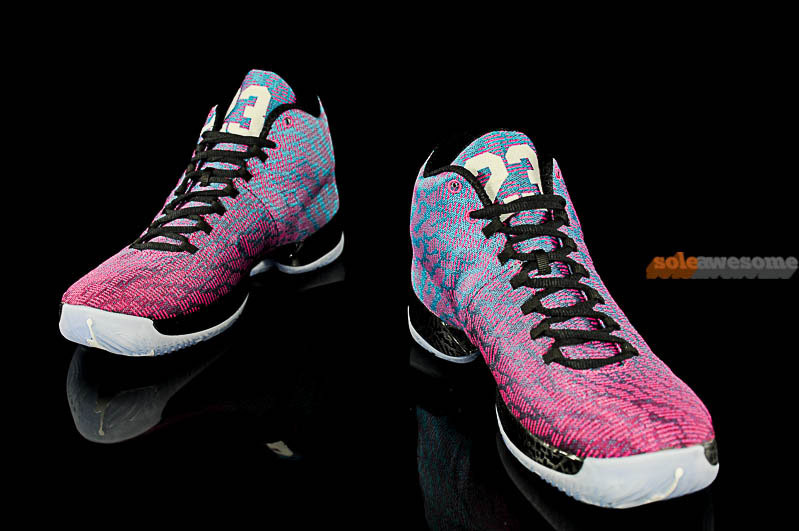 The colorway draws its inspiration from the San Antonio tourist attraction and motif of the '96 All-Star Game. 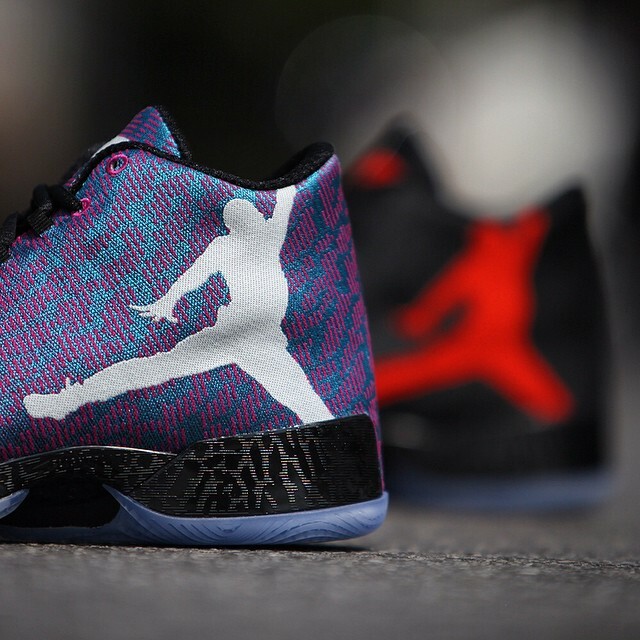 Expect these to release on Saturday, October 11 for $225. 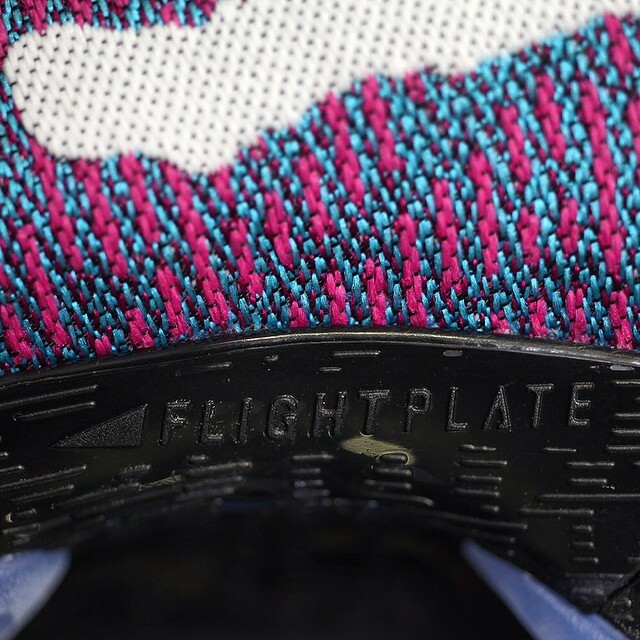 UPDATE 9/28: New images via @gc911. 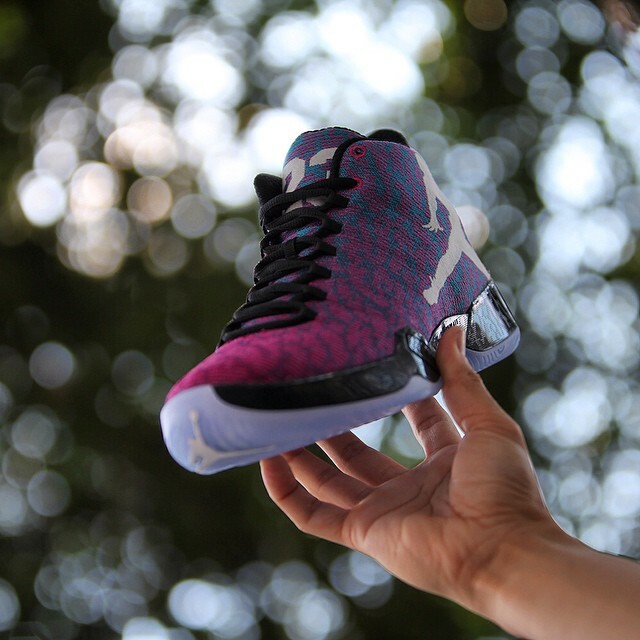 UPDATE 9/27: New images via Sole Awesome.